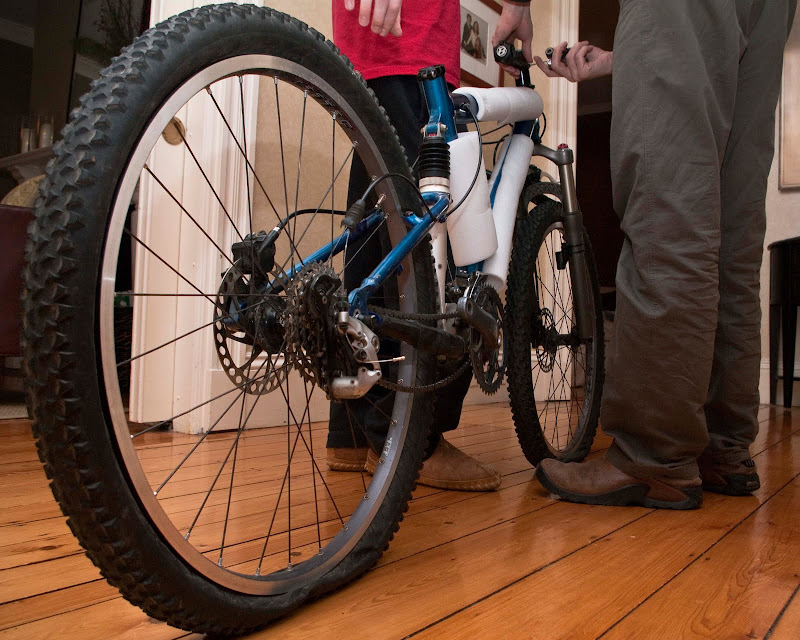 You may recall a couple of months ago when my son's bike "disappeared." What a crummy ordeal that was... And it took some time, but he finally came around to the idea that maybe he would replace it. He's been saving his babysitting money, and with some help from dad, scouring craigslist and ebay for a good deal. Recently, a deal was done, and today, UPS delivered the goods. Let the healing begin. yay! good resolution to a bum deal! congrats and now the weather is nicer - time to ride to school again! see you in a couple of weeks!